The same year that Honda introduced the CB750, Kawasaki gave the world something as special, but with a little more blue stroke. Offered from 1969 until 1975 the Kawasaki H1 gave the rider lots of power, but lacked the frame design to keep the power to the ground in the safest way; it was described as “the triple with a ripple.” In 1970, Kawasaki took the H1R racing and with rider Ginger Molloy aboard, they were able to gather enough points to come second to Giacomo “Ago” Agostini and his MV Augusta. 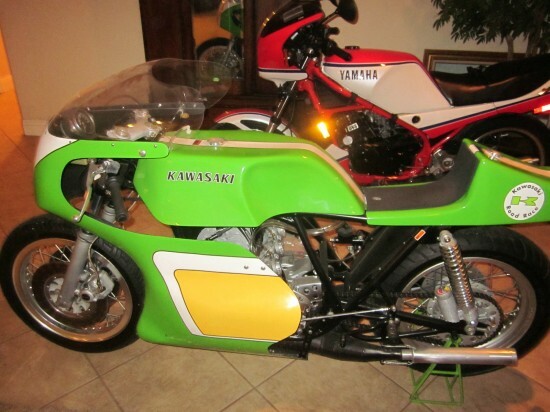 This 1974 Kawasaki H1 is dressed up to look like the H1R. 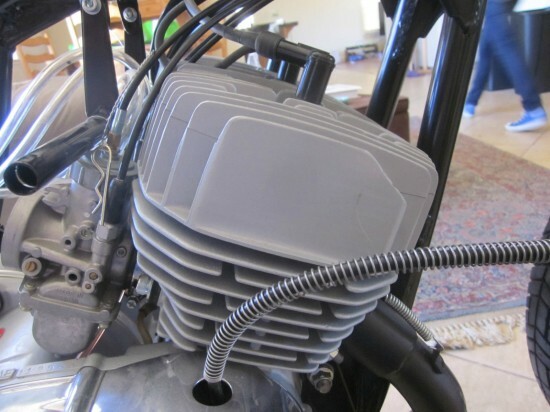 From the serial numbers on the motor, it looks to be a 1975 H1 motor. The motor is brand new. 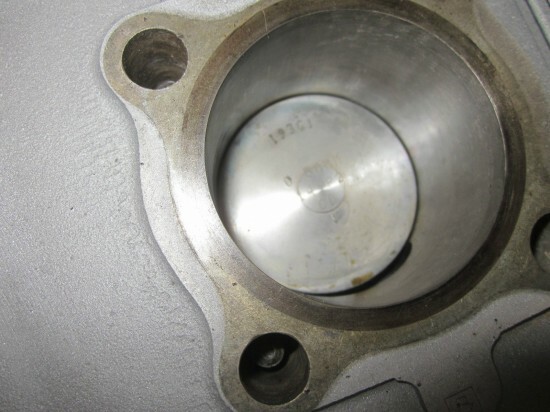 I pulled off a cylinder and looked at the piston to check. 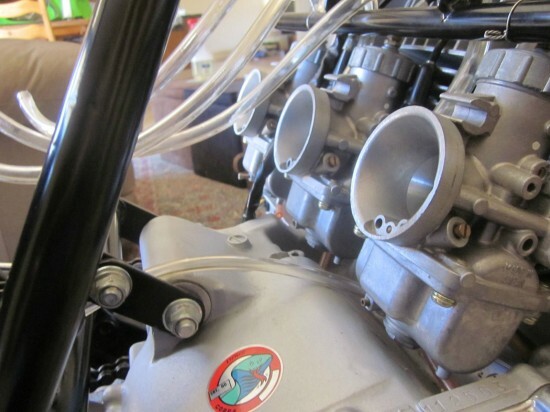 It does not have the stock carbs and although I am not sure what size they are, they do look brand new. If I were to guess, I would say it has 32 or 34 Mikuni carbs. The cylinders are also ported. The right side head has a broken fin. Look at the pictures to see. I pulled the right head off of this to show the brand new piston. This motor is clean enough to eat off of. There is not a speck of grease, oil, or dirt on it anywhere. The aluminum is perfect. There is no oxidation or weathering on the aluminum cases. They look close to new. This bike does not have the dry clutch kit. The way the seller describes the bike, it seems like they had recently purchased it. They give the best, vaguest description of a bike that I have read in a while. They state that it appears no oil has seen the inside of the oil tank. The seller has not started it up, or appears to know if it would start up. Read the complete description to understand what you might be getting. This bike has custom chambers. It is safety wired as well. It has DID aluminum rims, 17 front and rear. The front is 2.5 by 17 and the rear is 3 by 17. 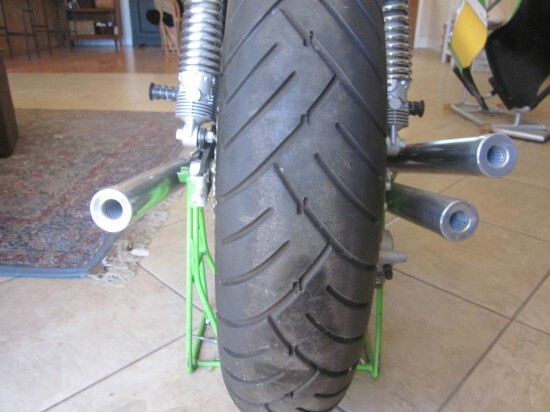 The bike has Marzocchi rear shocks. If I were to keep it, I would probably put a better set of pipes on it as these pipes look like they are reworks factory pipe products. All bolts look new, no oxidation on any of the bolts or aluminum. There are a couple of small little scratches on the gas tank just from being moved around. The bodywork and paint are close to mint. No scrapes or scratches. This is done up in the right color of Kawi green. 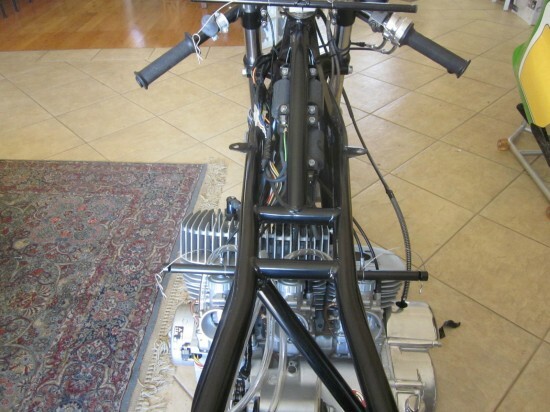 I was able to find some power numbers on a racing H1R from 1972, the last year that it was campaigned. 75hp at 9000rpm, with its 5 speed gear box it was good in excess of 160mph depending on gearing. The major visual and performance difference between the replica for sale and the as-raced H1R is the front break. Because 2-strokes offer no engine braking, the biggest and best brake was needed to insure that the rider was able to slow for the first corner of the course. 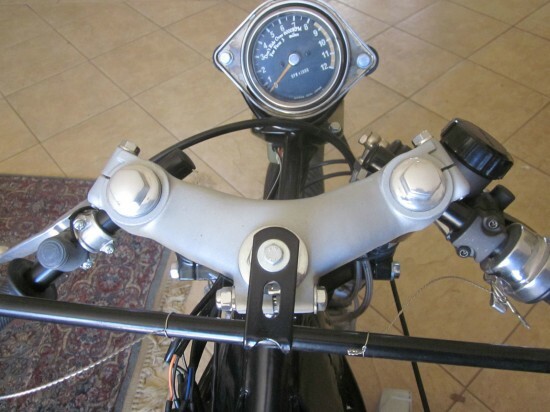 The original H1R used huge Four Leading Shoe drum brakes because at the time, were more advanced then disk brakes. The replica offered has the advantage of dual disk.